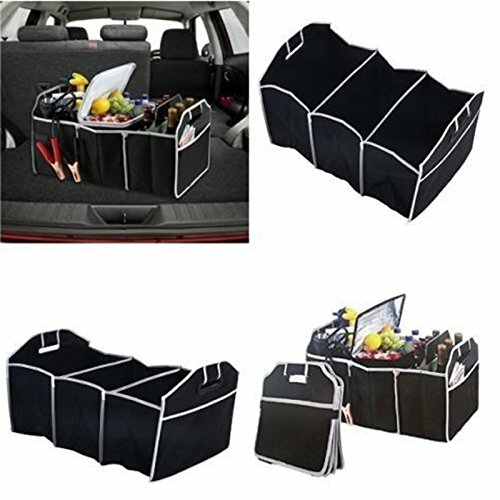 Foldable Collapsible Car Boot Storage Box Heavy Duty Tidy Tool Organizer Bag by Generic at Our DXC. MPN: Larcolais. Hurry! Limited time offer. Offer valid only while supplies last. Description: 1.Portable and useful. 2.Easy to fold away after use. 3.Two pockets located on the outer side. 4.Material:Non-woven fabrics. 2.Easy to fold away after use. 3.Two pockets located on the outer side. 5.Structure:3 large storage compartments, 2 pockets. Pockets located on the outer side-great for storing maps and other documents.